Antigua was ablaze with activity in April, with many yachts and crew enjoying the traditional Trade Winds & infamous Caribbean hospitality. 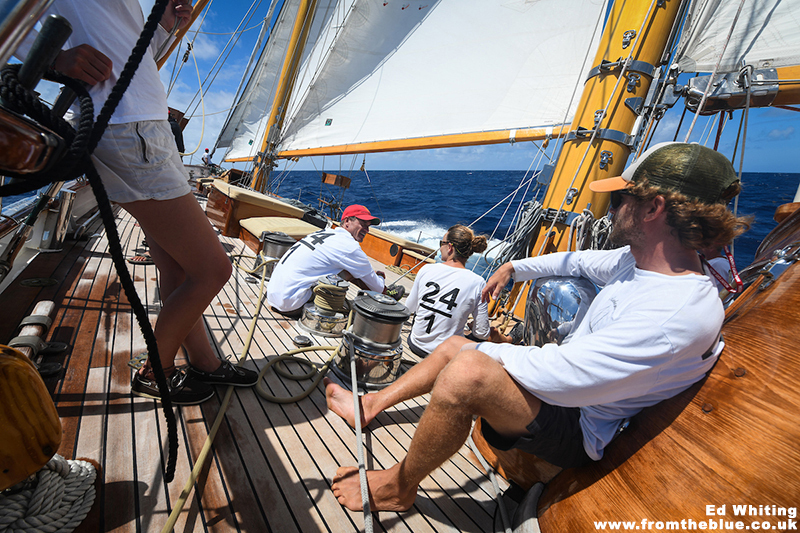 First with the Antigua Classic Yacht Regatta, now in its 31st year, attracting 29 yachts whose ages spanned 79 years and 100ft in length! 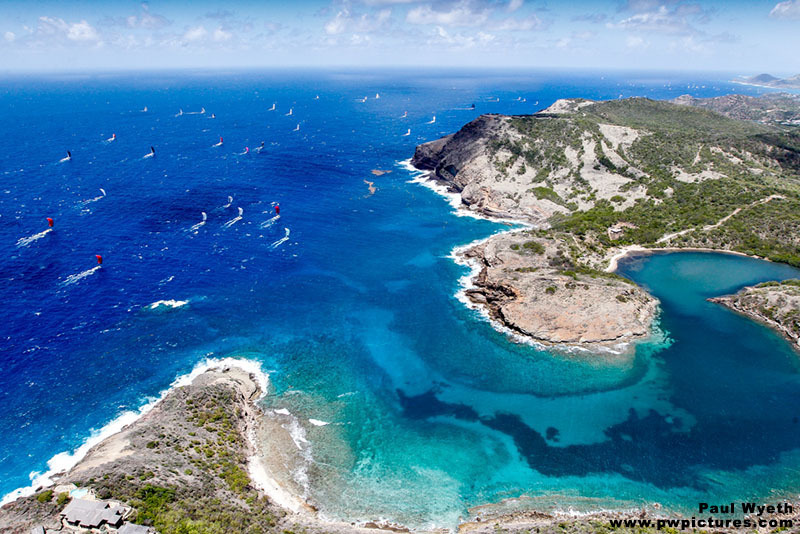 Running from 19th-23rd April, the single handed race opened the Regatta followed by four days of lively racing often in stiff breezes and choppy seas. 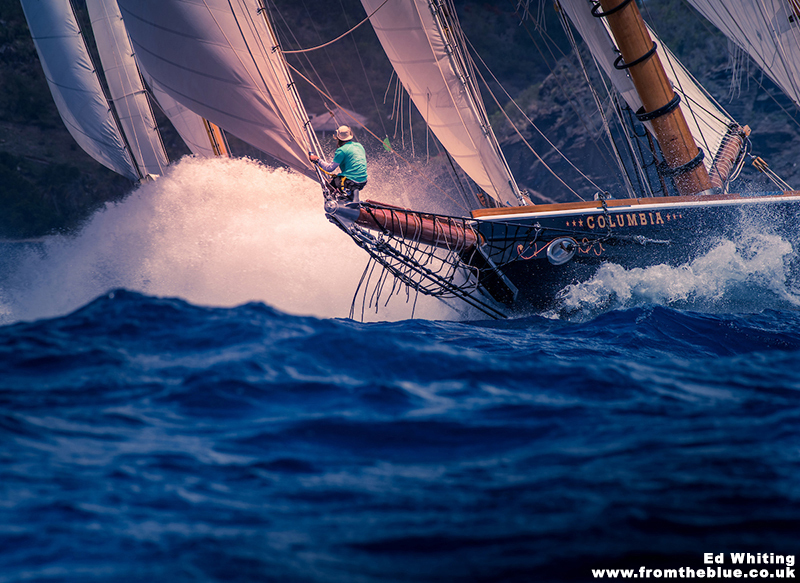 The classics enjoyed high spirited and often blustery world-class competition. 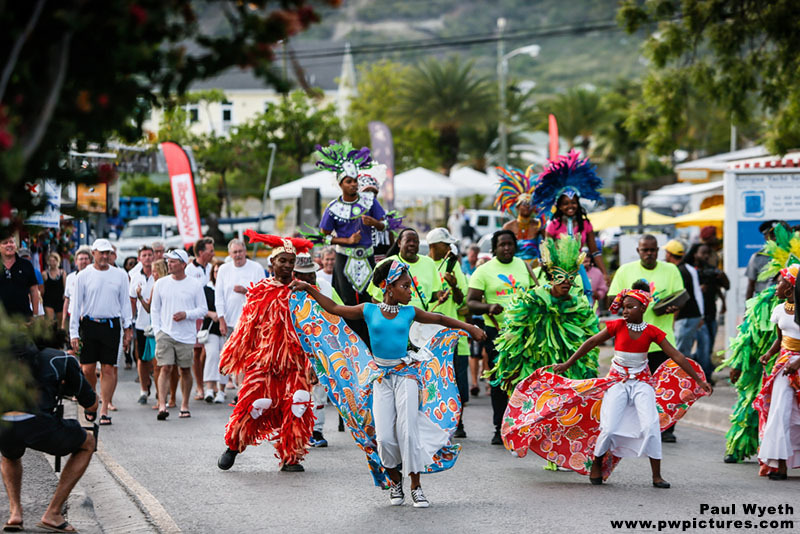 Racing was held off the south coast of Antigua, with Falmouth Harbour and the grounds of the Antigua Yacht Club being Race HQ & the location of evening entertainment. The prize giving and final day’s gig racing took place as always at the Admirals Inn, in historic Nelson’s Dockyard, now a UNESCO World Heritage Site. The opening single handed race was contested by seven of the entries including an impressive effort by Karl-Peter Edner, handling his 1954 built 115ft Ashanti V.
Alongside the oldest entry, the 1924 52’ Skagen gaff ketch Samsara, were plenty of mid-sized boats leading the fleets with several beautiful giants dominating the race course skylines; including the 127’ Hoek sloop Atalante making her prestigious debut from the Claasen Shipyard in the Netherlands. Winning the all-important Concours d’Elégance was the 86’ Herreshoff staysail ketch Ticonderoga of Greenwich, built in 1936. 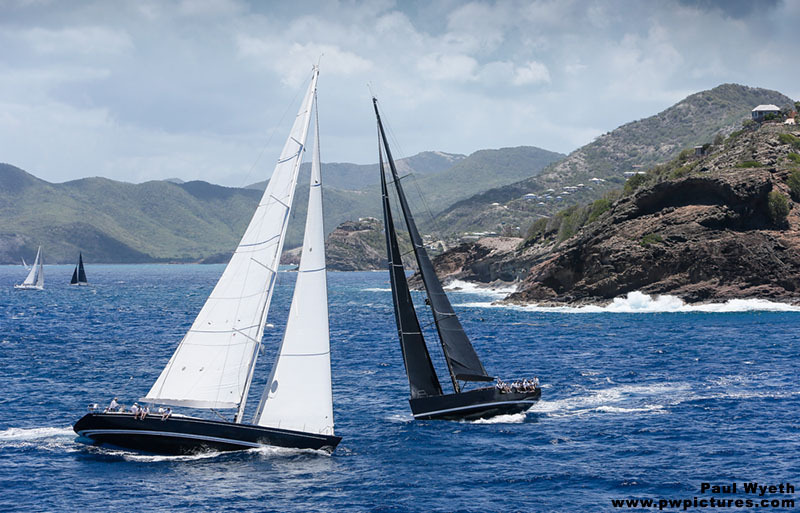 Other superyacht entries included the 100’ Thomas Colvin Schooner Ruth from Barbados; and the 141’ Schooner Columbia, which made a last minute, ten-day dash from the States. 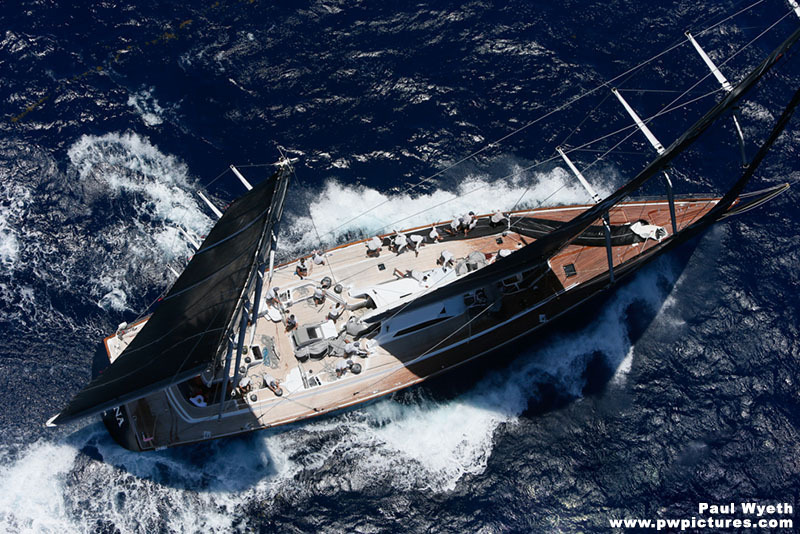 The Tall Ship Class winner was 157’ Chronos. 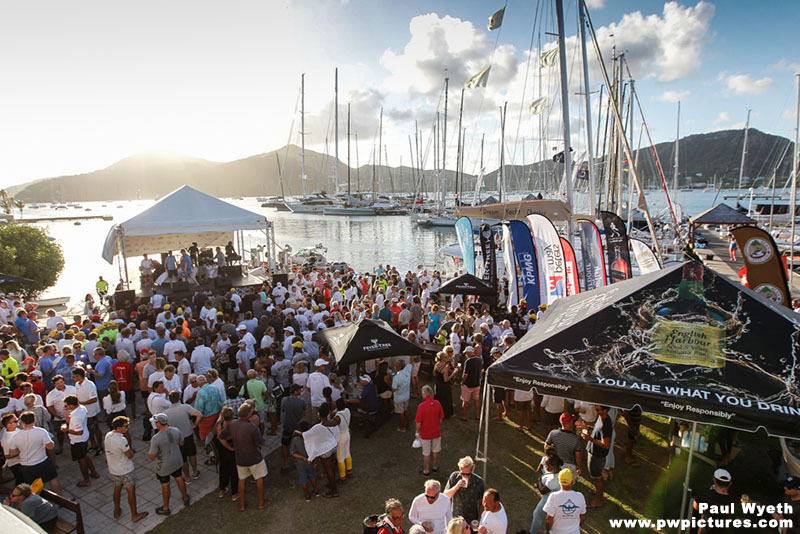 Falmouth Harbour and the organising Antigua Yacht Club had barely two days to get its breath back before 116 yachts descended for Antigua Sailing Week on 27th April. Next it was the turn of the modern sailing boats. 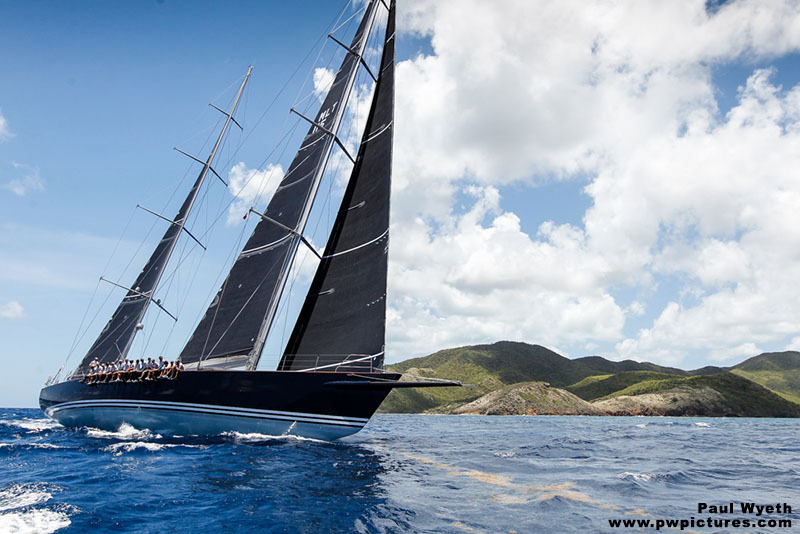 Antigua Sailing Week is one of the best loved regattas in the racing calendar. Popular for crews from all over the world, 37 countries were represented. 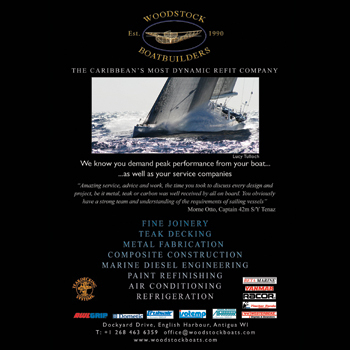 Steep seas continued to dominate the event which opened with the Peters and May Round The Island Race, where a new record was set by American modified Volvo 70 Warrior, sailed by Stephen Murray. 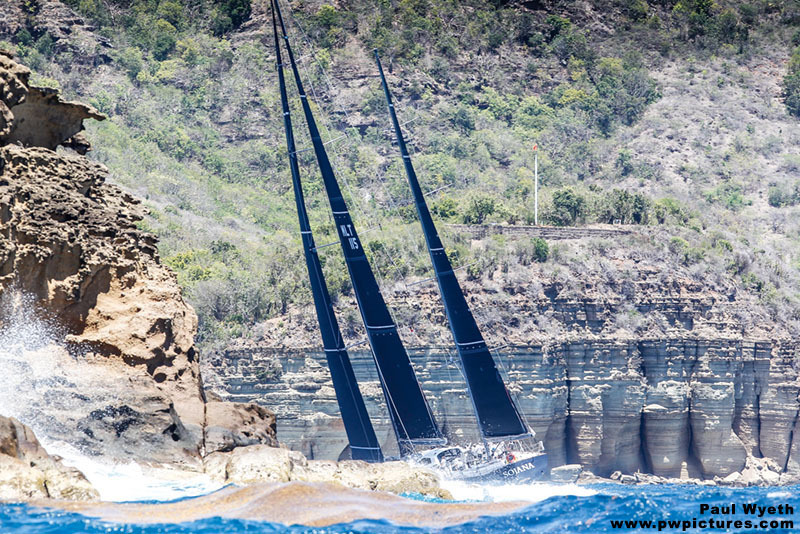 Warrior blasted around the 53-mile course in a record time of 3 hrs 55 mins and 38 secs, demolishing the previous record held by Peter Harrison’s British 115ft superyacht Sojana by over 42 minutes. It was great to have Sojana back again and she wasn’t disappointed with the prize of overall winner for her perfect scoreline of seven race wins in CSA 2, carrying off the coveted Lord Nelson Trophy! 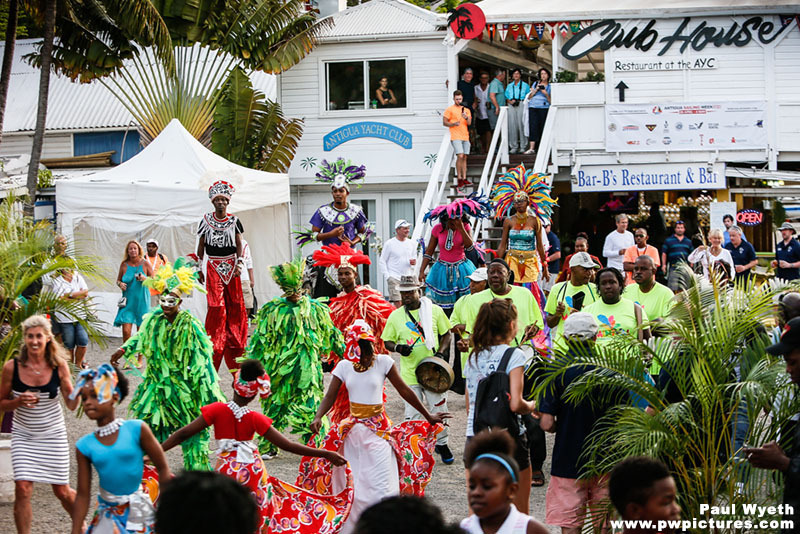 Like the Classics Regatta, Antigua Sailing Week is not shy of putting on some spectacular social events - over 3,000 revellers attended Reggae in the Park, featuring international reggae artist Tarrus Riley. So why not sign up for next year….keep the dates free!